Our firm often receives inquiries from individuals who desire to legally change their name. People may desire to change their name for many reasons. Some want to avoid a name which may be linked to celebrities or individuals with unsavory or even criminal histories. Others may need their name legally changed so that it matches other legal documentation that they may have, such as a passport. Whatever the reason, this post will discuss the legal requirements required for name changes in New York State. The first step in legally changing one’s name is to file a Petition in the Supreme Court in the county in which the individual currently resides. There are legal requirements regarding the contents of the Petition, including whether the individual has ever been convicted of a crime, judgments against the individual, pending litigation involving the individual, and information regarding child support and spousal support obligations. The reason that this information is required is that a person may attempt to evade legal obligations, such as judgments or child support, by changing their name. In order to prevent this, a name change Petition will not be accepted unless all information regarding such outstanding legal obligations is provided. The Petition also has to provide the reason for the name change application. As discussed above, there are many valid reasons for such application. Once the Petition is complete, it is filed with the appropriate Court. The Court will also require a certified copy of the applicant’s birth certificate, showing the original name. Once the Petition is submitted, it is assigned to a Supreme Court Judge. The Judge will review the application to ensure it complies with the legal requirements discussed above. The Judge will then issue an Order which may grant the application, or require that certain conditions be met in order to grant the Petition. One common requirement is that if there is a judgment or pending litigation involving the applicant, that the judgment holder or opposing party in the litigation receive notice of the application, and that proof of such notice be filed with the Court. This prevents a party from avoiding a legal obligation by changing her name. Assuming that any conditions have been met, the Judge will also order public publication of the name change. The Court will issue an order mandating the publication in which the notice is published, usually a newspaper of general circulation in the county of the application, and how many times the advertisement must appear. This notice will be in standard form and states the prior name of the applicant, the date of the application, and the new name and address of the applicant. This allows the general public to be advised of the name change. Once publication is complete, the applicant (or their attorney) is required to submit proof of such publication to the Court. Failure to provide such proof will result in the name change not being legally valid. Assuming proof of publication is completed, the name change will become legally effective upon filing of the proof. One final step may involve providing a certified copy of the name change order to a third party for legal purposes. Such certified copies are available at the County Clerk of the County in which the name change was applied. In addition, if the order needs to be used in a jurisdiction outside of the United States, an apostille (essentially, a certification of the Order required to be valid internationally) should be applied for. 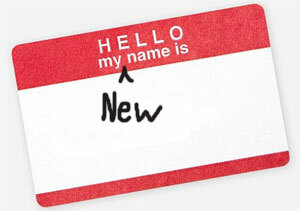 Our attorneys have extensive experience in applying for name changes and welcome all inquiries in this area.